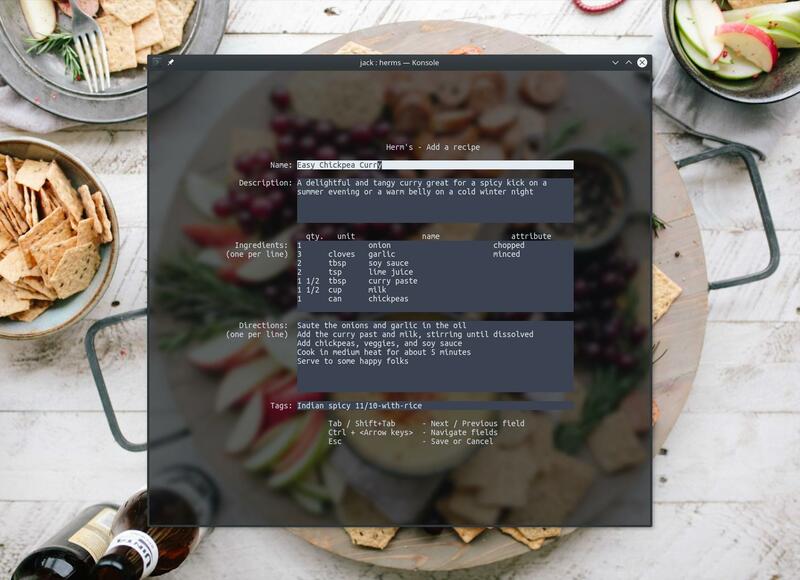 HeRM's: a Haskell-based Recipe Manager (yes, food recipes) for the command line. -s|--serving INT                               specify serving size when viewing. In honor of Logan, Utah's greatest Breakfast & Brunch.